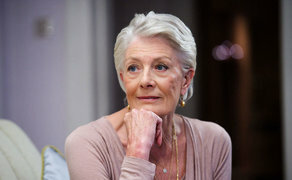 Oscar®-winning actress Vanessa Redgrave will lead the industry luminaries at the prestigious Foyle Film Festival in Derry next month. The renowned actress, who won the Academy® Award for her role in ‘Julia’, is set to speak at the festival following a screening of her directorial debut ‘Sea Sorrow’ in Brunswick Moviebowl on Sunday 25th November. She will be accompanied by her son and the film’s producer, Carlo Nero. From Friday 16th to Sunday 25th November, over 100 films from around the world will be showcased in the Nerve Centre and Brunswick Moviebowl. The programme includes a selection of premieres, features, shorts, animations and documentaries, in addition to industry workshops and Q&As with leading filmmakers. The festival will commemorate 100 years of women’s suffrage by placing women’s stories at the heart of the programme. Fresh from the Sundance Film Festival, Keira Knightley's new movie, ‘Colette’, will have its Northern Ireland premiere at the opening of the festival on Friday 16 November in Brunswick Moviebowl. Whilst Maggie Gyllenhaal closes the festival 10 days later (Sunday, November 25th) and gives what many believe to be a career best performance in ‘The Kindergarten Teacher’. Having been highly acclaimed at the Toronto International Film Festival, and already garnering awards season buzz for Glenn Close’s performance in the titular role, ‘The Wife’ offers a portrait of a woman who has spent a lifetime compromising her own significant gifts so as to support her charismatic husband, all the while obscuring the fateful secret that they have built their life upon. Veteran filmmaker and human rights activist Sue Clayton will also be in attendance with ‘Calais Children: A Case to Answer’. Clayton will take part in a post-screening discussion and discuss her role in fighting for the 1,900 unaccompanied minors stranded in the Calais jungle in October 2016. Foyle Film Festival also joins the year-long celebration of creative talent in animation that is taking place across the UK, Anim18. Throughout November, there will be a series of screenings, workshops and special events exploring the history of animation in Northern Ireland and introducing audiences to the often unsung local pioneers of the artform. Nerve Visual’s latest exhibition, Speeches, Strikes and Struggles: Curating Conflict, led by the Tower Museum, offers the chance for the public to view rarely before seen collections highlighting key moments in Northern Ireland from 1959 to 1974. Foyle Film Festival responds to the events highlighted in the exhibition through a series of screenings and discussions, including Steve McQueen’s ‘Hunger’, and the powerful documentary ‘I, Dolours’, introduced by journalist and producer Ed Moloney, who will also take part in a post-screening discussion. Families will not be disappointed as Disney returns to the Foyle Film Festival with the much-anticipated animation ‘Ralph Breaks the Internet’. They will also enjoy screenings of the Disney classics Bambi and Dumbo, and a 30th anniversary screening of the Tom Hanks box-office smash hit, ‘Big’. The best of homegrown and international talent will be celebrated with the festival’s Oscar®-affiliated Light In Motion Competition. The 2018 winners will be announced at the Closing Night Gala at Brunswick Moviebowl by special guest Vanessa Redgrave. Bulldog Film Distribution, Snackbox Films and Inition production company will all be in attendance at the annual Shorts to Features industry day in the Nerve Centre on Saturday 24 November. The full-day event is an opportunity for filmmakers at all levels to network and hear from some of the industry leaders. Click here for the full Foyle Film Festival programme.